Get all of the benefits of a spa or dermatologist's microdermabrasion treatment for a fraction of the price. The most popular beauty treatment either in-salon or at home, Microdermabrasion is a quick and easy treatment with lasting effects! It is a safe, non-invasive treatment, using the latest technology and achieving amazing results. 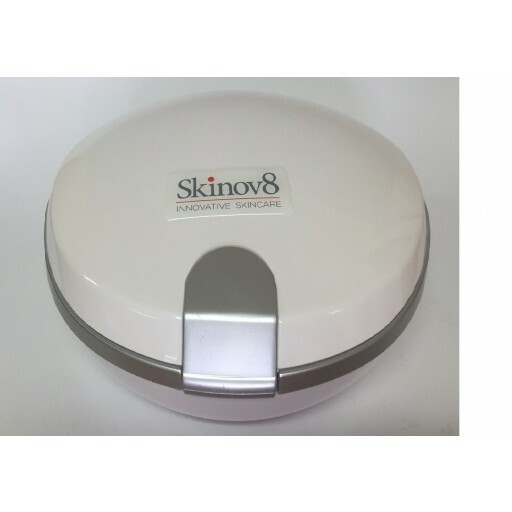 Skinov8 Silk Peel Diamond Microdermabrasion offers the latest in advanced facial technology. The diamond tip exfoliates the outer layers of the skin and removes dead skin cells, while gentle suction to the skin assists in stimulating the production of new cells in the lower dermal layers. This treatment results in healthier, fresher skin with enhanced elasticity and texture. Removing the mature cells from the top layer of the skin encourages fresh cells to be produced and pushed to the surface of the dermal layers, resulting in a more youthful appearance. The best part is that you can now achieve this youthful appearance in the comfort of your own home. This is the ideal treatment for anybody wishing to experience a deeper, more effective facial. The treatment can help to reduce fine lines and wrinkles, tighten enlarged pores, eliminate blackheads and whiteheads, and reduce the appearance of scar tissue and pigmentation.